Set Dosa is also called Mushti Polo in Konkani which means fistful. 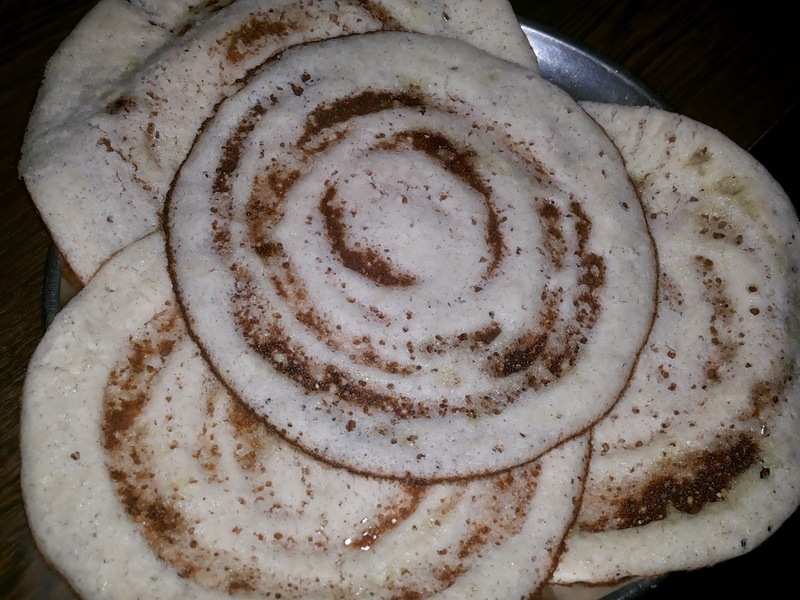 It is very popular in Karnataka where 2 dosa's sometimes 3 are served which are little thicker and smaller than masala dosa thus the name set dosa. You can find this dosa anywhere be it in restaurants or road side stalls. Set Dosa are soft and very fluffy in texture. Do try it atleast once. The Vegetable Kurma goes very well with Set dosa. Click on Vegetable Kurma to get it's recipe. Set dosa is roasted only on one side. Keep the batter in the fridge if you are not making dosas immediately or if the batter is remaining so to use it the next day. Chutney goes well with Set Dosa also. 2 tbsp grated coconut can be added if needed. Adding Beaten Rice / Poha is optional. Beaten Rice makes the dosa soft. You can add soda or Eno to fasten the process of fermentation. Wash normal white rice, beaten rice and boiled/red rice for 3-4 times and soak them together in a bowl for 3-4 hours prior to grinding. Wash fenugreek seeds / methi seeds 2 times and soak them separately in a small bowl for 3-4 hours prior to grinding. Heat a non-stick pan/tava. Sprinkle some water to check if it is hot enough and use a cloth to wipe the water on a pan. Repeat this every time before you pour the batter.